All Mac OS are supported. Android Version now available for customers and approved merchants. 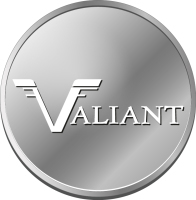 Buy ValiantCoins in the store now! ValiantCoin is based on the Blockchain technology like Bitcoin. During the initial phase of release source code will be available by request.